It’s Samantha, back with the topic of none other than FOOD. And not just any food, but probably my favourite type of cuisine – Japanese cuisine! Entering the reading week has allowed me to reminisce on the old excursions I made with many friends, and I’m slowly documenting all the restaurants I’ve visited in Toronto. 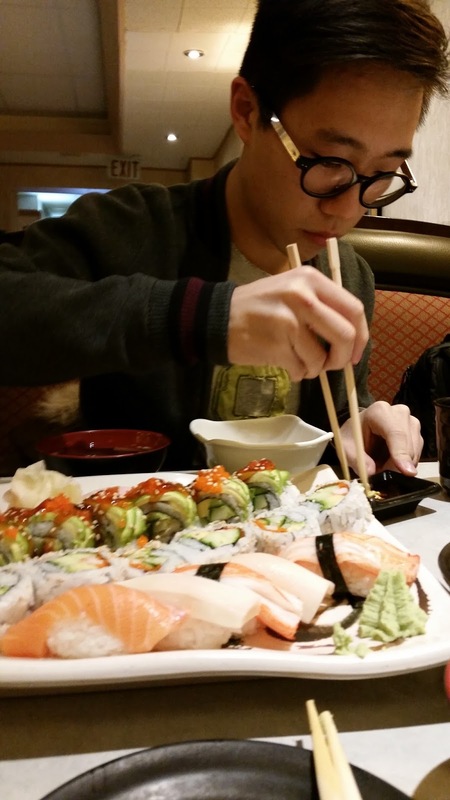 Today, I look back on my visit to Big Sushi on Bloor Street West with one of my friends who’s studying in Rotman Commerce at the University of Toronto! Big Sushi was a choice of restaurant on the recommendation of Daniel, who made his visit there a couple of times before. This was my first time coming to this restaurant and I thought that the restaurant itself was a decent setting. It was great considering you get “big” portions of sushi for really small prices! On the menu that day, we ended up ordering the Chef’s Special Dinner. This was a combination for 2 people (hence the reason we ordered it!) 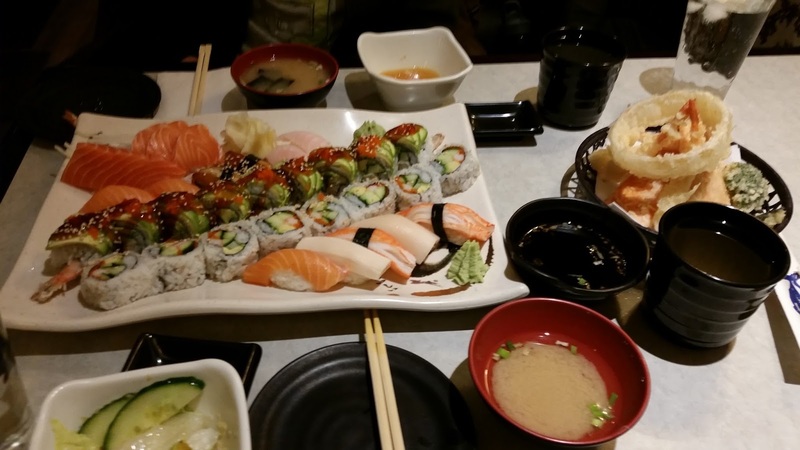 and had a really great variety of sushi, sashimi and sides; all for the great price of $35.95! What a list right ?! All for such a reasonable price! If I recall, I could barely finish the food; and we got extremely full after the tempura appetizers; which were in HUGE proportions. I suggest ordering this when you’re truly hungry; it’ll be a very satisfying meal if you do order it with your company!